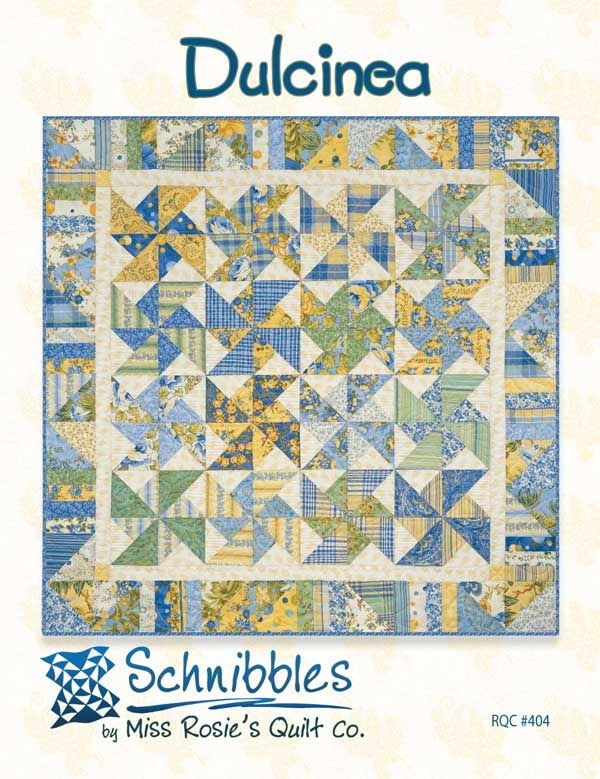 Posted on June 28, 2013 by Elizabeth E.
A part of the Year of Schnibbles, hosted by Sherri and Sinta. 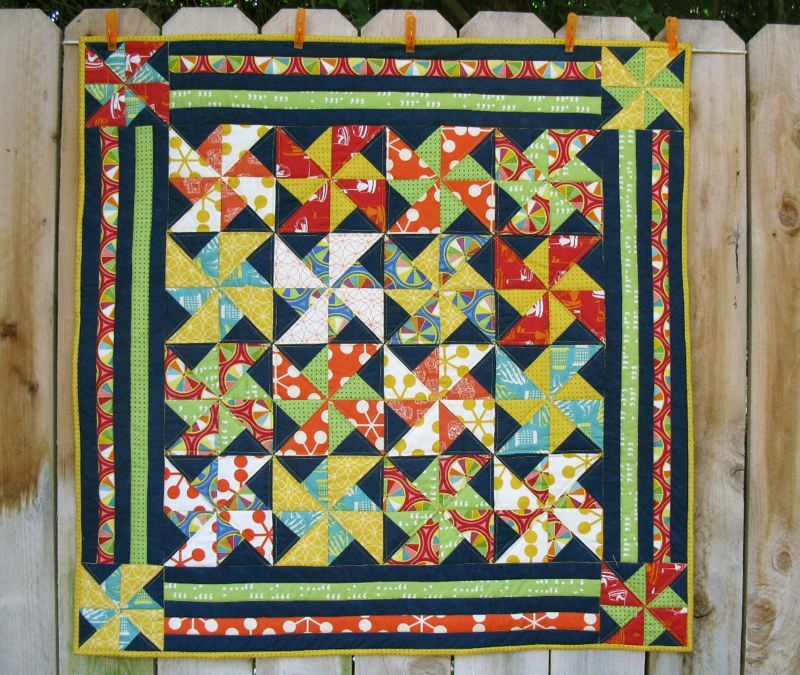 This quilt reminded me of summer days, of green lawns that you can lay down in and drift off, and of course, pinwheels that spin with the flick of a finger, or by holding them overhead while running. I was also reminded of local faires and immediately thought of Babe, the Gallant Pig, and Mr. and Mrs. Hoggett, cotton candy, ferris wheels. 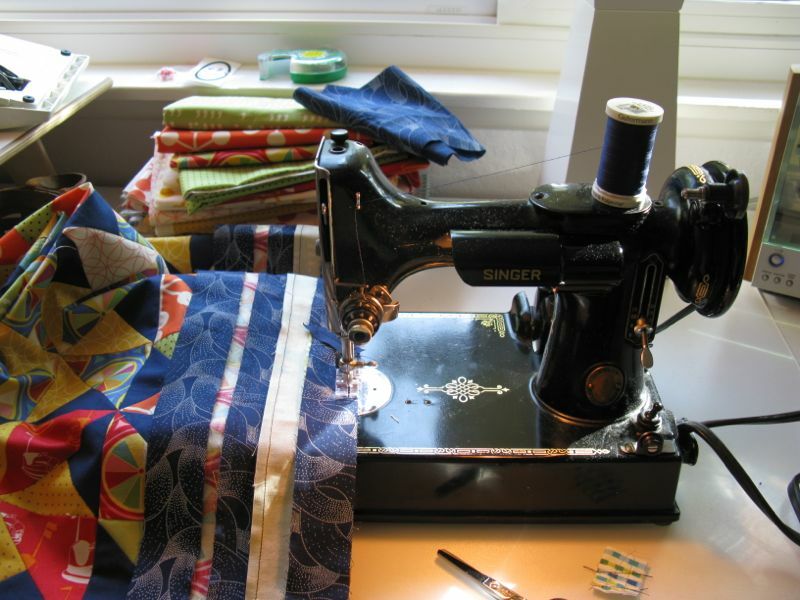 I started it on the small machine, as the big machine was set up downstairs, quilting Kaleidoscope. Here’s the original. You can see I changed up the border. Given the bold prints of my fabrics, I felt the border was too busy for what I had going on in the center, and as we are given license to modify and create and have fun with Carrie Nelson’s patterns, I indulged and put a series of bars along the edges, with pinwheels for cornerstones. I have a fabrics from the Comma collection from Moda and from Thomas Knauer’s Asbury collection, which has summer-time things like bumper cars and soft-serve ice cream cones. 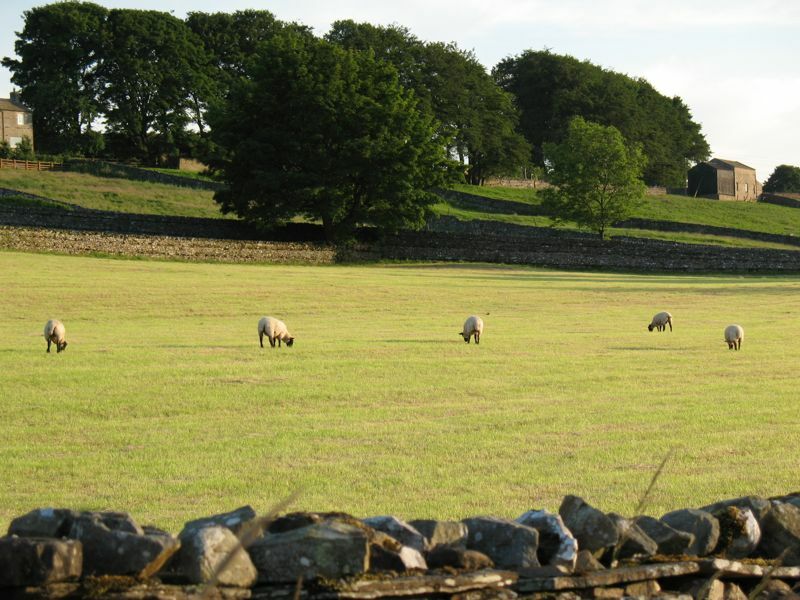 A scene or two from Yorkshire. I can now get this Wensleydale cheese in Costco, during the holidays. Will wonders never cease. This measures a little larger than the other two Schnibbles designs, coming in at 34″ square. I think this design would morph perfectly into a baby quilt, or a quilt for a child, by adding another row of the pinwheels. After taking the outside photos, I gimped upstairs (yes, I can walk around now, but not much, and have that lovely blue boot on my foot) and threw the quilt on the guest bedroom bed. I really like these bold colors. Given that we are heading into a weekend of 100+ degree heat, I declare that summer has arrived! 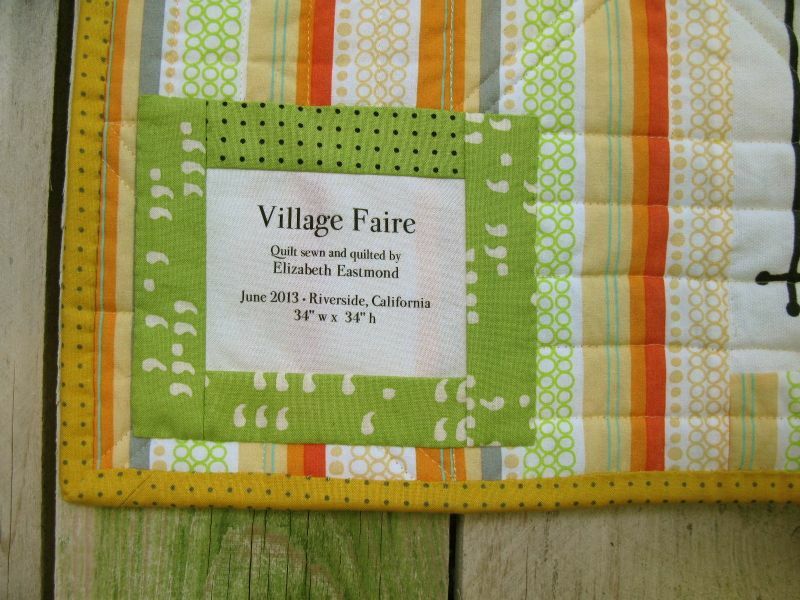 This summer may you find a Village Faire to attend, and a pinwheel to spin with a quick puff of breath. 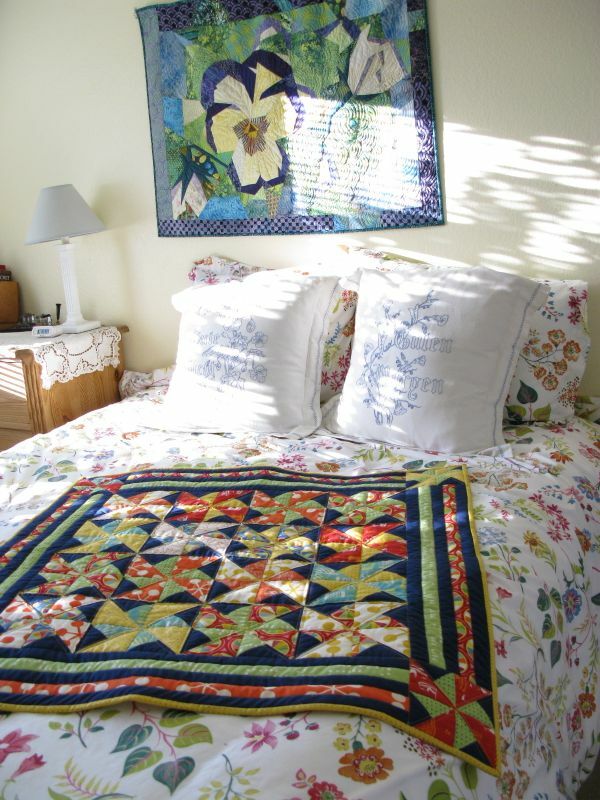 I totally love this quilt!! It is happy and makes me smile! 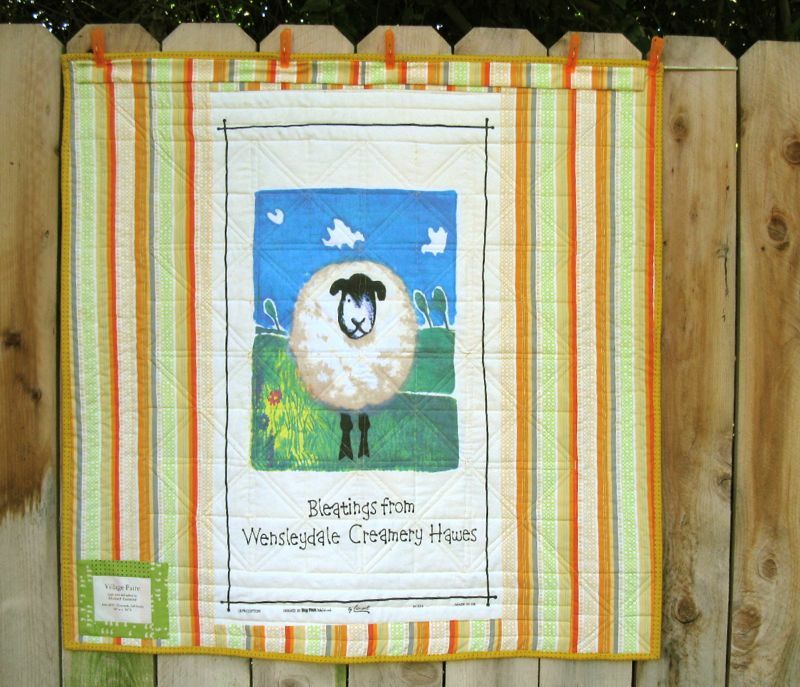 I just love this little quilt and most especially the backing – just perfect! Glad to hear you’re moving about now. 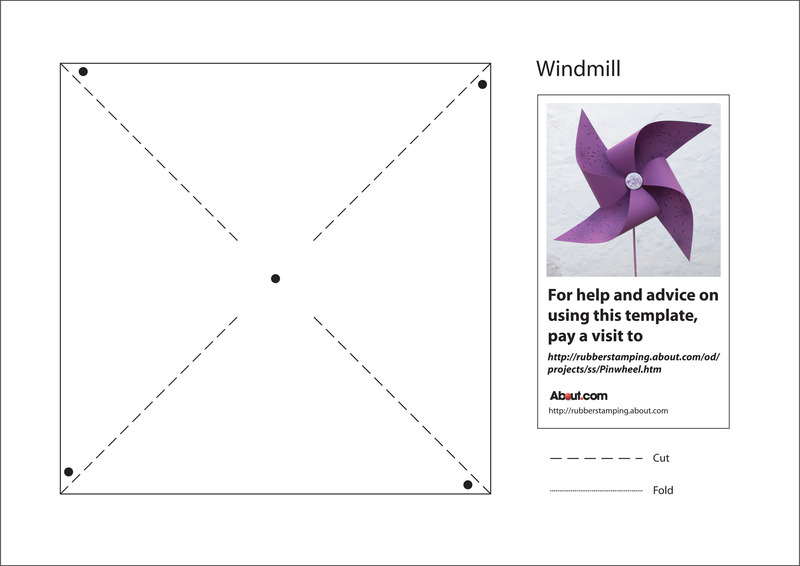 Reminds of a windy summer day playing with the pinwheels. Very nice. That looks great! I do like the borders you used too. 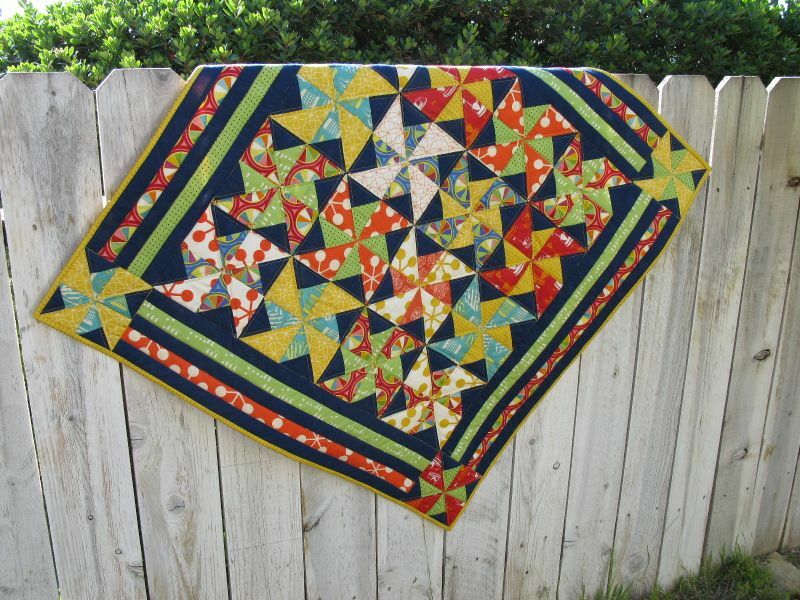 Pinwheels are some of my favorite quilting designs. Your latest quilt is very sweet! And the back is perfect! 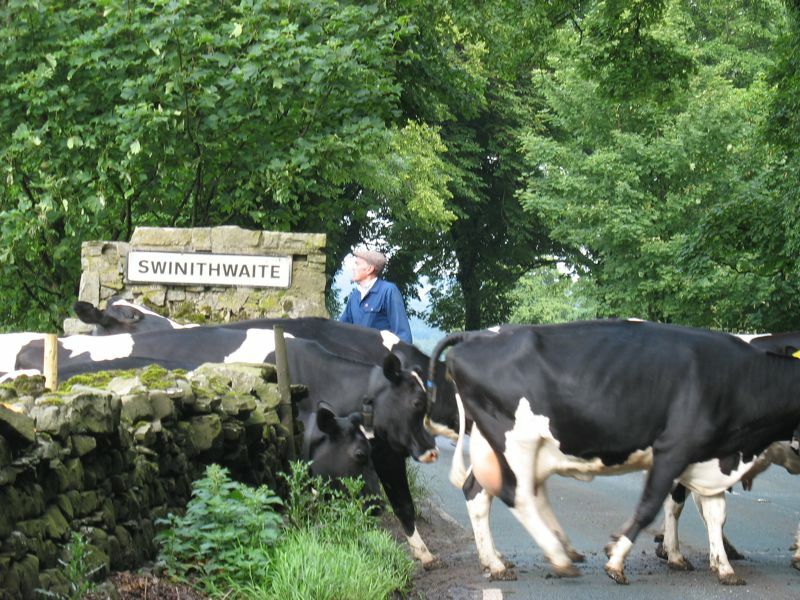 I love the photos of the cows too! Very English! I love the pastoral photos that go along with your tea towel. It makes fun pattern even more fun! 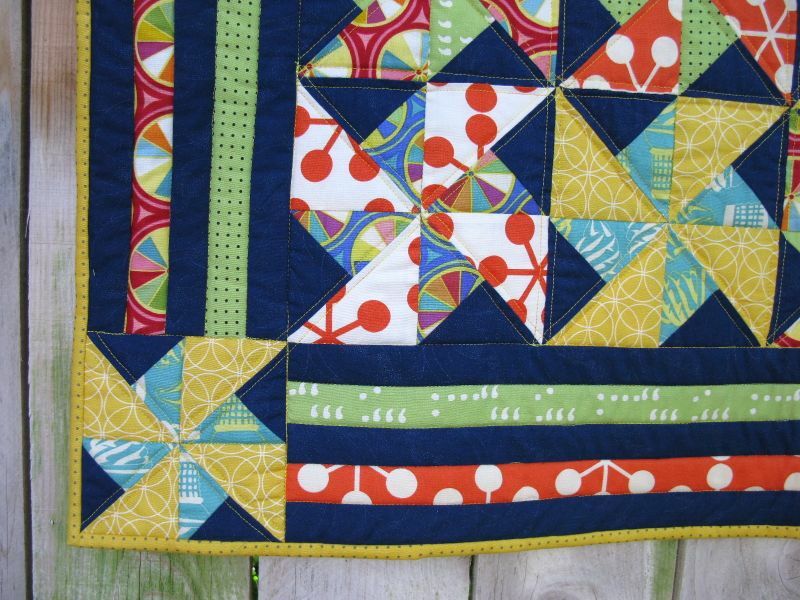 That is a lovely and fun little quilt! Have fun in the heat, I am glad you are able to get out and about. Thanks for taking us to England. I love Wallace and Grommit, too!